*7.3cm of fresh snow has fallen since yesterday morning and at 7:15am today the temperature was -7°c. 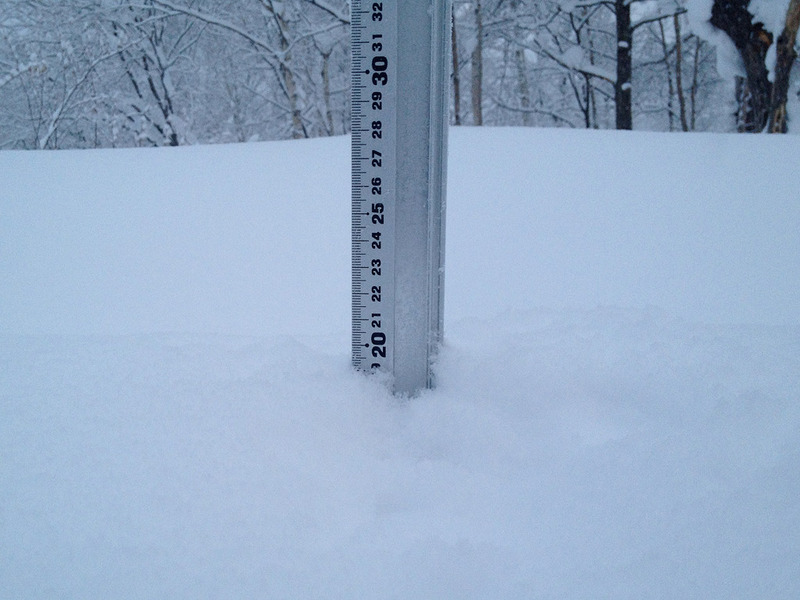 Cold wintery conditions have returned to the Niseko region overnight and the snow is falling heavily right now. Last night we went to a fantastic traditional Japanese restaurant in the lower village called Yo. Yo is tucked in behind the pension Hurry Slowly and well worth visiting. Entering the restaurant almost feels like stepping back in time. The food is amazing and reasonably priced.